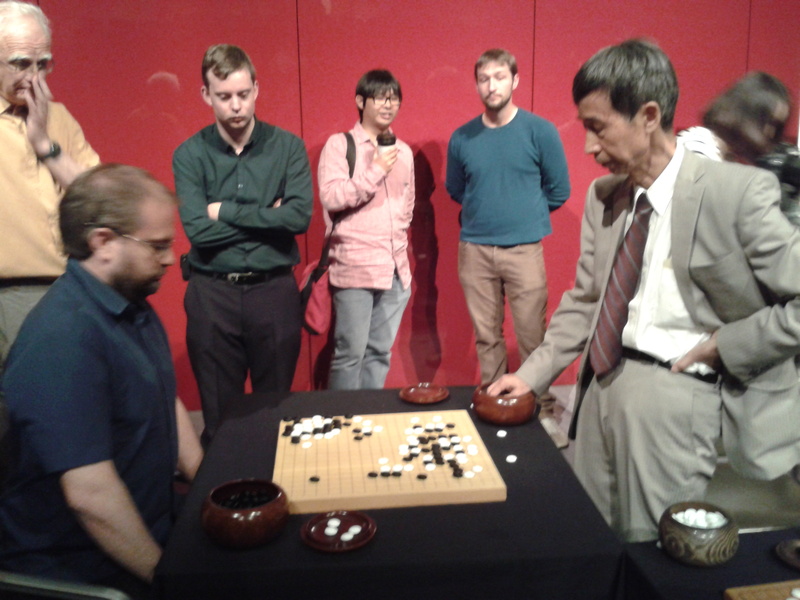 Wang Runan 8P, President of the Chinese Weiqi Association, was the guest of honor at the Sino-British Weiqi Exchanges, a cultural exchange event held September 7 at the British Museum in London. Organized by the UK Research and Development Centre for Chinese Traditional Culture (UKCTC) in association with the East Midland Youth Chinese Organisation (EMYCO) and in cooperation with the British Go Association (BGA), the event was sponsored by Chen Yongqing, a businessman who is a promoter and advocate of weiqi culture in China and is President of the Xi’an Fuji Vocational Weiqi Club, and Vice Chairman of the Xi’an Weiqi Association. He also traveled from China for the event. 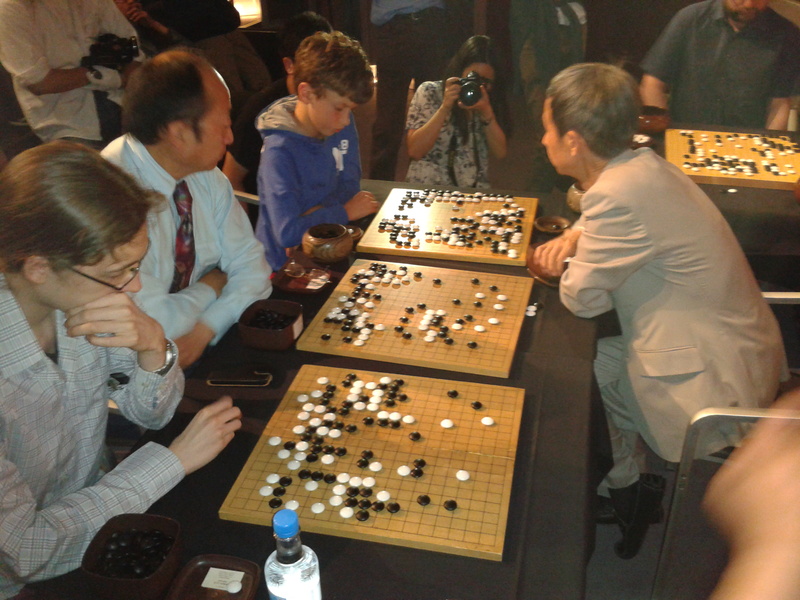 The event was organized to promote cultural exchanges between China and the UK through the game of go (known as weiqi in China), set up a platform where go enthusiasts can not only learn about the game’s culture but also enhance their go skills, and enable go enthusiasts in the UK to find more friends and encourage more people to take up go, facilitating its promotion as a result. UKCTC President Sherry Kuei welcomed the guest speakers and the hundred or so attendees to the event, introducing Counselor Li Hui of the Embassy of the People’s Republic of China in London, who thanked the British Museum for the venue, UKCTC for their continuing contribution to the promotion of Chinese traditional culture - something now highly valued in China - and the EMYCO for inviting the guests. Admitting he himself was not a player, Li said he looked forward to learning more about this “magic art”. 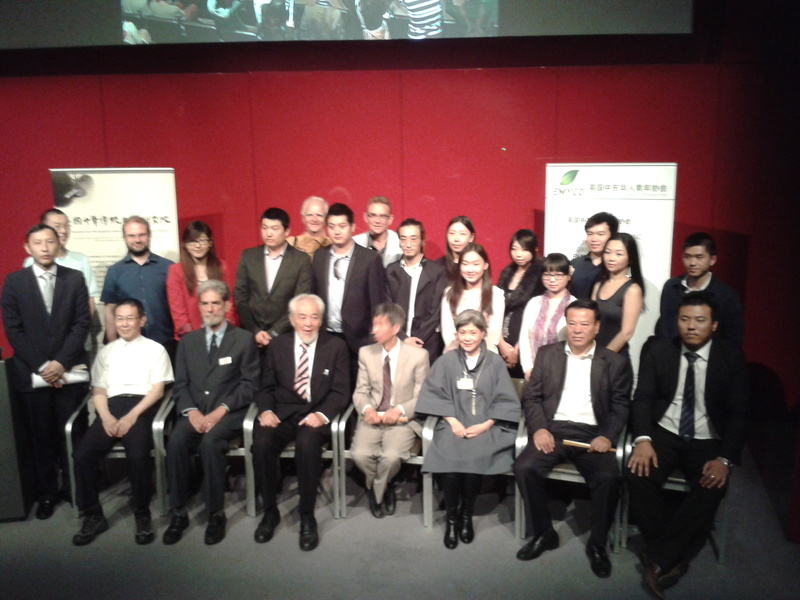 Chen Jiuxuan, Chairman of the EMYCO and son of Chen Yongqing, next introduced his organisation, a recreational, non-religious, non-political, not-for-profit organisation for the youth of the large Chinese community in the England’s East Midlands region. The EMYCO recruits twice-yearly from students at the University of Nottingham and the Nottingham Trent University, which have strong links with China. British Go Association (BGA) Vice President (and AGA member) Francis Roads took the stage next and gave an overview of the activities and growth of the BGA since its founding in 1952, noting that he’s been a member for much of that time, having joined not long after learning the game 48 years ago. During his 5-year tenure as President of the BGA in the early ’70s, he had written to the Chinese embassy with an invitation for their nation to engage with the UK’s go community. To laughter from the audience, organizers and guests he related how the only reply he received was “a little red book entitled ‘The Thoughts of Chairman Mao.’” Roads said that it gave him great pleasure to participate in the kind of cultural exchange he had hoped for then. 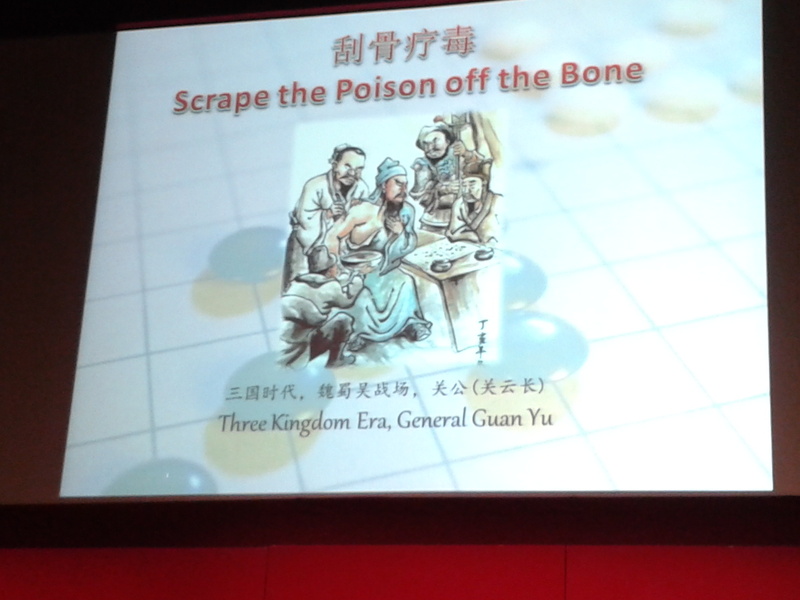 Dr Chan Cheng, Honorary President of the UKCTC, introduced Wang Runan 8P by reading the Ten Principles of Weiqi, also known as the Ten Golden Rules, from Wang’s fan (see China Calls For Return of Ancient Go Manuscript 9/9 EJ; an English translation of these core strategies of the game, together with discussion, can be found at Sensei’s Library). Wang, a small, slight man with highly mobile features and eyes sparkling with good humor, spoke with animated enthusiasm as Wang Ren translated. 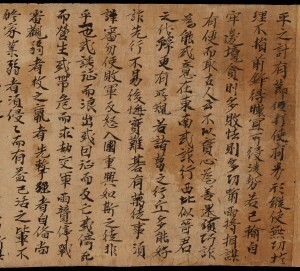 He first expressed his great pleasure at finding himself speaking at the British Museum, an institution he had learnt of at school since it holds a good number of Chinese antiquities including the oldest known manual of his game (since transferred to the British Library; see same 9/9 EJ referenced above). Wang gave a brief history of go, beginning with its origin in China “over 4000 years ago” and including colorful legends of historic figures such as General Xie An, who allegedly sat calmly playing go, leaving battle reports undispatched, as his army of 80,000 faced and overcame a force of 800,000 invaders. Or General Guan Yu who, in the absence of anesthetics, is said to have used a game of go to distract him from the pain of having the marrow scraped from his arm to remove poison from an arrow-wound (left). Wang indicated he personally would prefer to have the anesthetics now available if he found himself in similar circumstances. Wang told how the game spread to Korea, to Japan, and from there it spread to Europe, North America and other parts of the world after Japan had reached a dominant position in mastery of the game over the last several hundred years. But, he pointed out, in recent years China has once again excelled in international competitions. He drew attention to the application of go’s ideas in many fields of life and especially to strategy, claiming that the upper echelons of the US military and the CIA also now study the game as key to understanding East Asian strategic thinking. He also referred to US President Obama’s gift of a goban to Chinese Premier Hu Jintao on the first presidential visit to China since Nixon’s time (see 12/14/09 EJ), expressing puzzlement, however, that the President chose a Chinese cultural artifact rather than an American one such as perhaps a basketball. Wang provided a few tips for newcomers to the game, suggesting that they “Avoid concentrating on local play, disregarding the rest of the board,” instead taking what he referred to as the “helicopter view” of the whole board. He also said players should deploy their stones widely about the board, use strategy like probe stones which may be sacrificed, and stressed the importance of reading accurately, noting that professionals may look up to 30 moves ahead; beginners should try to read at least three moves ahead. After a short break, the house reassembled less formally for actual play, with Wang playing simultaneously with four volunteer players from the BGA. On board one was Matthew Cocke 5d of Epsom Go Club (above right, 2nd from top), one of the UK’s strongest players, who was given a 3-stone handicap. This game was televised on a large screen, with Francis Roads giving a running commentary over the PA with the help of a laser pointer (right). Cocke was visibly shaken when, towards the end of the middle game, he realized he had allowed four stones to be cut off, an oversight which quite possibly cost him the game. Out of courtesy to the British who, like other Westerners, have the Japanese traditions deeply imbued, territory scoring was used rather than the Chinese tradition of area scoring. Cocke lost by 4 points. At the next board was was British Under-10 Champion Oscar Selby 8k, who took nine stones and lost by six points, earning praise from Wang. Next was engineer Mark Baoliang Zhang 1k of Diss (no club) who took seven stones and was behind when the game had to be halted because the museum was closing. Michael Webster 2d of the Central London Go Club, taking six stones, had perhaps the best result of the four, with Wang conceding that Webster had the lead at the point play stopped in this also unfinished game. After the play it remained only for fond farewells and a seemingly endless round of photographs of various combinations of personages before the last of the party reluctantly left, the doors behind them closing securely on the British Museum’s priceless collection of treasures from around the world. - report/photos by Tony Collman, British correspondent for the EJ. Top right: Lisa Quastella of the British Museums’s Sales and Marketing Dept presenting Wang with the gift of “Lotus Flower Print” by Ding Liangxian; group photo: (seated, l-r) Wang Ren, Francis Roads, Dr Chan Cheng, Wang Runan, Sherry Kuei, Chen Yongqing, Chen Jiuxuan. Translations were provided by Wang Ren, friend of the UKCTC (Wang, Dr Chan) and Yuki Kuan of the EMYCO (Kuei, Chen, Roads), who also provided extensive assistance with the compilation of this report. NOTE: the original report has been updated to reflect that Wang Runan is President of the Chinese Weiqi Association, not Vice Chairman, as originally reported. 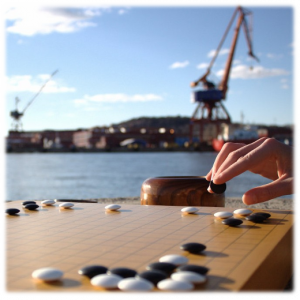 One of the largest tournaments in northern Europe, the annual 29th Gothenburg Open will take place November 1-3. As a five-round standard McMahon tournament, each player is guaranteed five games arranged to be as even as possible. The standard entry fee is 30 EU. However, players 10k or less can register for half price and first-time Gothenburg Open players play for free. 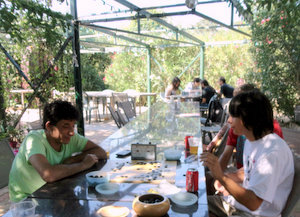 Players are also welcome to stay at the venue at no extra charge. To register or for more information including schedule, venue, and official rules, please visit the official Gothenburg Open website. Netherlands: At The Delfts Toernooi on September 8, Filip Vanderstappen 5d defeated Rene Aaij 5d and Gelmer Bouwman 3d placed third. Hungary: The Kispesti Nadydij Goverseny also finished September 8 in Bupdapest with Dominik Bovis 4d in first, Peter Marko 4d in second, and Gabor Szabics 5d in third. Czech Republic: In Prague, Jan Simara 6d (left) took the Brno Tournament on September 8. Behind him were Lukas Podpera 6d and Ondrej Silt 6d. 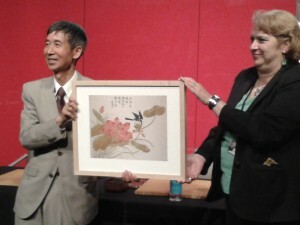 Wang Runan 8P, the President of the Chinese Weiqi Association, last week asked the British to return the Weiqi Classic, also known as the Dunhuang Go Manual, to China. The manuscript, which dates back to the ninth century, is a copy of the earliest known manual of go, known as weiqi (or weichi) in China, where the game originated; the original manual is thought to have originated in the sixth century. It was taken from the “Library Cave” in Dunhuang, China in 1907 by Aurel Stein and is now in the collection of the British Library in London. 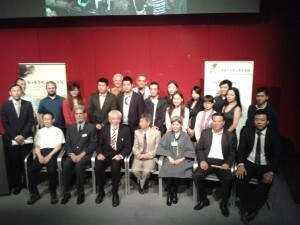 Wang was speaking at a press conference at the British Museum on September 5 to publicize British-Chinese Weiqi Cultural Exchange Event held on September 7 at the museum, hosted by the UK Research and Development Centre for Chinese Traditional Culture and the East Midland Youth Chinese Organisation, in cooperation with the British Go Association (BGA). 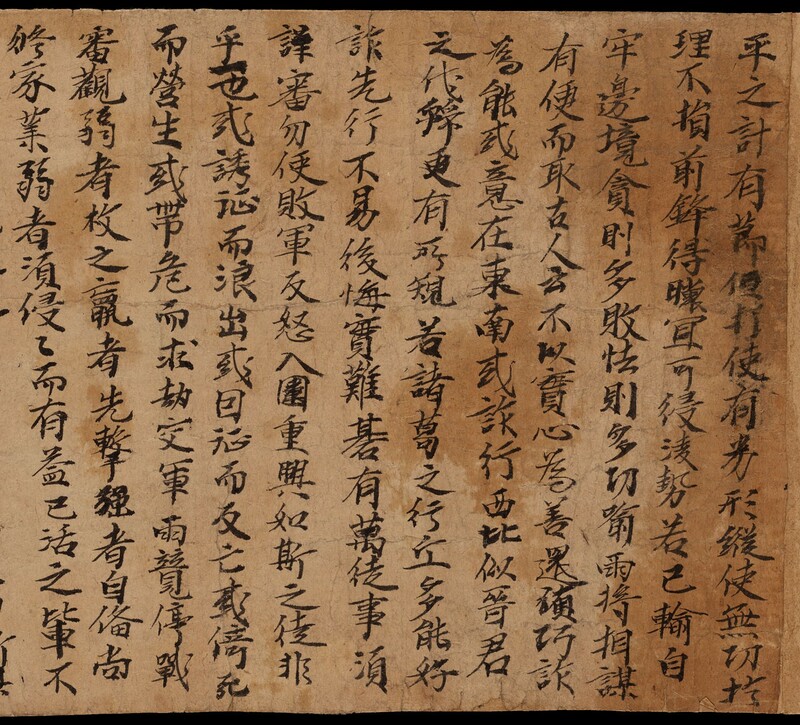 A partial English translation of the fascinating text of the Weiqi Classic, with notes, can be found in the Library’s database entry for the item. Report by Tony Collman, British Correspondent for the E-Journal. 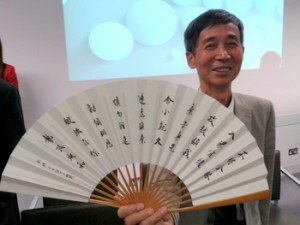 Photos: BOTTOM LEFT: Wang Runan, by Tony Collman, displaying fan with calligraphy spelling out 10 principles of weiqi; TOP RIGHT: The Weiqi Classic (beginning), courtesy of the International Dunhuang Project, British Library. 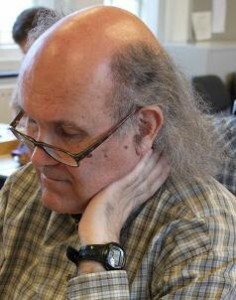 NOTE: this report has been updated to reflect that Wang Runan is President (not Vice Chairman) of the Chinese Weiqi Association. Germany: The Koelner Go-Turnier 2013 finished September 1 in Koeln with Lukas Kraemer 5d (left) in first, Benjamin Teuber 6d in second, and Jonas Welticke 4d in third. 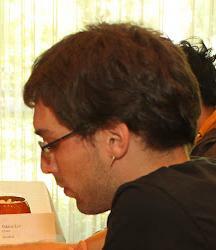 Croatia: Also on September 1, Zoran Mutabzija 5d won the Croatian Championship 2013 – Final 6 in Zagreb. Sead Bacevina 2d came in second and Lavro Furjanic 1k in third. England: Isle of Man hosted two tournaments on August 18, a main tournament and an afternoon tournament. The main tournament wrapped up on August 23 with Matthew Macfayden 6d in first followed by Matthew Cocke 5d in second and Shigehiko Uno 4d in third. 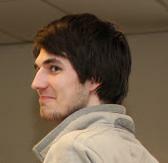 However, Uno dominated the afternoon tournament while James Hutchinson 1d took second and Toby Manning 2d placed third. The Central London Go Club is appealing for American — and other foreign — nationals living in the UK to help put the “International” back into the London International Teams Tournament on October 6. The twice-yearly event has in recent times barely lived up to its billing, with the Nippon Club — the event’s host — the only non-British team in the Spring 2013 tournament. The trophy (pictured) that time was taken by a team from the land of “Cambridge” (see 4/19 EJ) to the amusement of team captain and British Championship 2013 challenger Andrew Simons. Click here to download flyer with full details and entry form. Fan Hui won the Open French Championship on September 25, near Perpignan in the south of France. There were 30 participants; Thomas Debarre took second, and Fred Donzet (left) was third. The selection for the 2014 WAGC will be at Rouen later this year, from the eight higher active players of the moment (although Fan is now a French citizen, as a professional he cannot represent France at the amateur event). Click here for more information (in French), including results and photos. 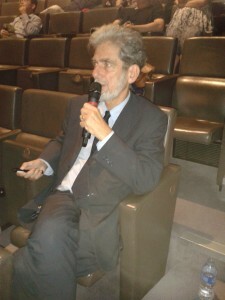 - Laurent Coquelet, French Correspondent for the E-Journal. NOTE: the player on the right is Cesar Lextrait, not Fan Hui, as originally reported. photo by Claire Rioualen. Netherlands: Bert Vonk 1d bested Jan Bol 2d (left) at the Centraal Plaasingstoernoii on August 25 in Amstelveen; Ger de Groot 1d placed third. Croatia: The 5th Memorial-tournament Ivica Kuhar finished August 24 in Veliki Grdjevac with Stjepan Mestrovic 1k in first, Vlimir Kuhar 5d in second, and Robert Jovicic 2k in third. Poland: Stanislaw Frejlak 4d won both the first and second week of the Summer Go School Marathon tournament in Przystanek Alaska. Week one finished on August 16 with Andrew Kay 4d in second and Tomas Kozelek 4d in third. During week two, Kay held his post while Marcin Majka 2d placed third. — Annalia Linnan, based on reports from EuroGoTV, which include complete result tables and all the latest European go news. This post was updated 9/4 to indicate that the photo is of Jan Bol 2d, not Bert Vonk 1d. China and Korea are favorites again this year to win the 34th edition of the World Amateur Go Championships, which will be held on September 1-4 in Sendai, Japan. Beginning September 1st, Ranka Online and the American Go E-Journal will provide full daily coverage of the championship. The field of 62 players from as many countries will range in age from 14 to 57 and in official rank from 7 kyu to 8 dan. Yuqing Hu will represent China and Hyunjae Choi is playing for Korea; those two countries have not dropped a single game to any other country in this event since 2006. The players from perennially strong Chinese Taipei, Japan, and Hong Kong (Wei-shin Lin, Kikou Emura, and King-man Kwan) will also bear watching, particularly 14-year-old Lin, who will move on from the World Amateur to a pro career in Taiwan. These Asians will be challenged, however, by a strong European contingent, led by Slovakian prodigy Pavol Lisy, who finished runner-up to former Chinese pro Fan Hui in this year’s European Championship. Joining Pavol will be four other young finalists from the European Championship: Thomas Debarre (France), Ilya Shikshin (Russia), Artem Kachanovskyi (Ukraine), and Nikola Mitic (Serbia). Also competing will be such established European stars as Ondrej Silt (Czechia), Csaba Mero (Hungary), Cornel Burzo (Romania), Merlijn Kuin (Netherlands), and Franz-Josef Dickhut (Germany). Challenging the Asians and Europeans will be a pair of North American students: Curtis Tang (US), a UC Berkeley student who trained for a year at a go academy in China, and Bill Lin (Canada), who played in the World Mind Games last December and is coming off a 3-1 defense of his Canadian Dragon title. The Southern hemisphere will be represented by Hao-Song Sun (Australia, 11th place at the 2008 World Mind Sports Games), Xuqi Wu (New Zealand, 12th place at the 2009 Korea Prime Minister Cup), and a pack of hopeful new players from South America and South Africa. 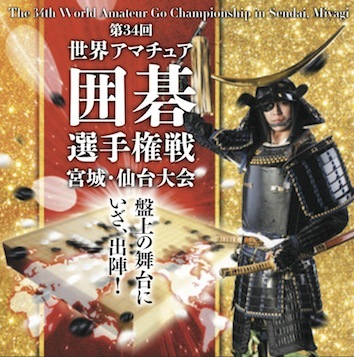 In the past the World Amateur Go Championship has been held in the spring, but this year the schedule was moved back because of the effects of the Great Eastern Japan Earthquake on March 11, 2011. Thanks to support from all over the world during the past two years, most of the regions hit by the earthquake are now recovering. It is hoped that through the game of go this tournament will give the world proof of the recovery and encourage the local people to press ahead with the long recovery process. NOTE: This report has been updated to reflect Curtis Tang’s status as a college student, not high school. 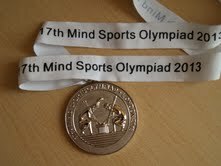 Paul Taylor 2d of the St Albans Go Club, UK took the gold medal for 19×19 go by just half a point at the 17th Mind Sports Olympiad (MSO) in London on Sunday August 25 (Mind Sports Olympiad Under Way in London, 8/18 EJ). 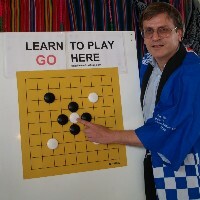 British Go Association (BGA) VP Tony Atkins 1d (right) of Reading, UK, who also organized the go events and ran a free introduction to the game, as well as acting as arbiter for the games, had to content himself with the second place silver medal. Michael Webster 1d of the Central London Go Club took bronze after a tie-break with Alistair Wall 1d of Wanstead Go Club, UK. Click here for full results. In the previous afternoon’s 13×13 event, Chris Volk from Germany took gold, while the silver medal went to Jay Rastall. Martyn Hamer won the bronze, but only after a tiebreak playoff with Matthew Hathrell, who nevertheless won medals in several other events. Click here for full results. Click here for full MSO medal awards. Tony Collman, British Go Correspondent for the E-J. From a report for the BGA by Tony Atkins. Photos courtesy of Atkins’ website.